The nave is the name for the main body of the church where the congregation takes part in the service, sitting in pews arranged next to aisles. It derives from the Latin “navis” for ship. The ship was an early symbol for the church. 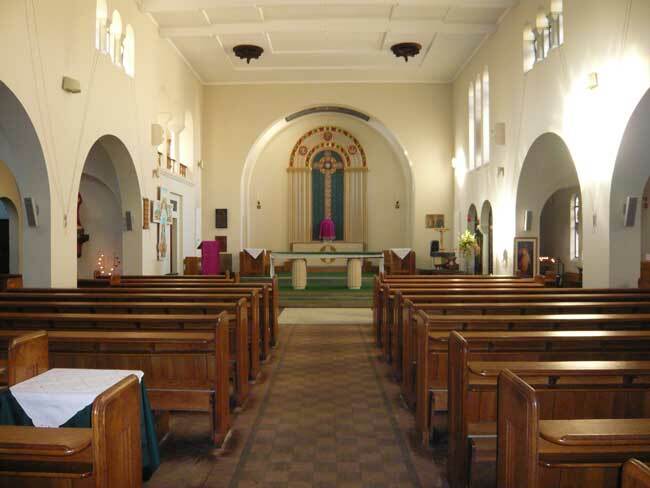 St. Edward’s has three aisles, north, central and south, the north and south aisles are separated from the central body of the church by arched pillars. On the upper level of the nave of a romanesque church, the walls rise above the roofline of the lower aisles and are pierced with windows, this is known as the clerestory. 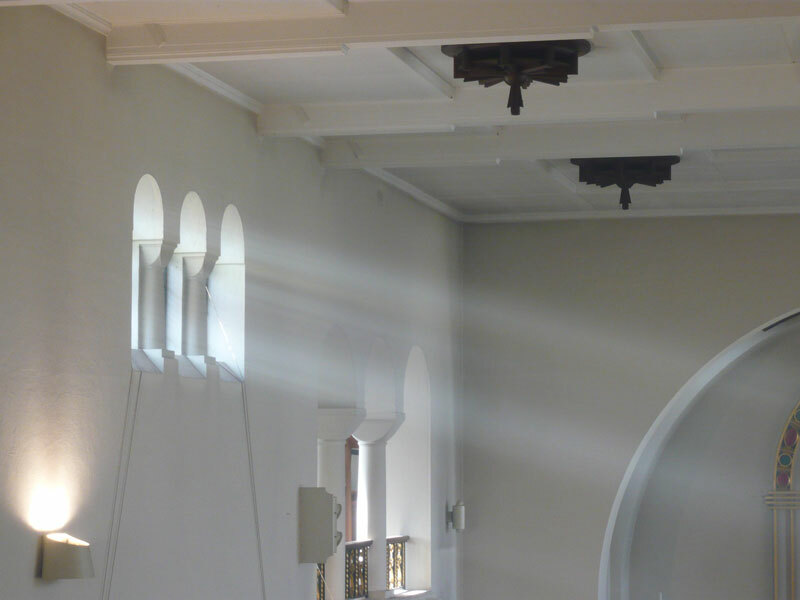 The windows in the clerestory at St. Edward’s are split into smaller panes or lights depicting different images and symbols. The central light in each window pictures Jesus or Our Lady and they are arranged so that they face each other across the nave.